Industrial & Electrical Instrumentation for the Oil & Gas Industry, with a wide variety of Hazardous Area Certified (IECEx, SAA, ATEX, CENELEC, EXla) items to meet the most harshest of application conditions. Electrical Instruments for the Mining Industry providing reliable brands that will last the most aggressive of environments. Specialising in quick turn around, shut-down or critical supply requirements. Precision Instruments for the Food & Beverage, Dairy, Winery and Brewery Industries. From very affordable through to high quality, meeting strict 3A Sanitary CIP standards. Internationally recognised brands for the waster water and water treatment industries. Water Analysis, control and monitoring concepts and designs. Simple and cost effective Sensors and Controls for almost every industry sector. From Large Power Stations to small manufacturing and processing plants. 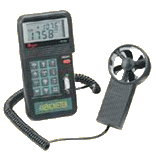 Environmental monitoring of gases and emissions Weather Instruments for a large operations through to the amateur weather watcher. 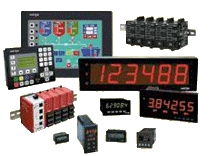 Leading supplier of Industrial & Electrical Instrumentation products and services in Perth, Western Australia. DG Instruments stock recognised Australian and international brands, ensuring you’ll find the right instrument for your requirements, at a highly competitive price. In addition to industrial and electrical instrumentation sales, we offer on-site service and repair to all brands of equipment, and can respond to urgent or emergency needs maintenance needs. With over 30 years combined industry experience, DG Instruments Pty Ltd are here to help you with competitive prices, expert advice and efficient on-site service on all precision instrumentation. Whatever industry you are in, whatever your instrumentation needs, contact us today!